1.a. You are the only copyright owner and creator of the photographs. 2.c. Blank Wall Gallery does not have the right to make use of or bestow the high definition files or the prints of the Works that will be used for the realization of the exhibition. 3.a. 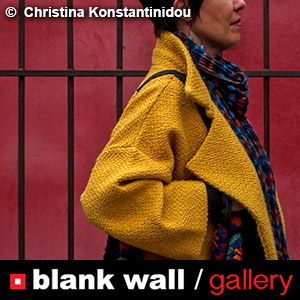 Blank Wall Gallery will not have any commercial profit from the Works that will be exhibited and it cannot exploit them at any time.